When private companies provide incarceration facilities and services, government often finds that the more people incarcerated, the cheaper it is. 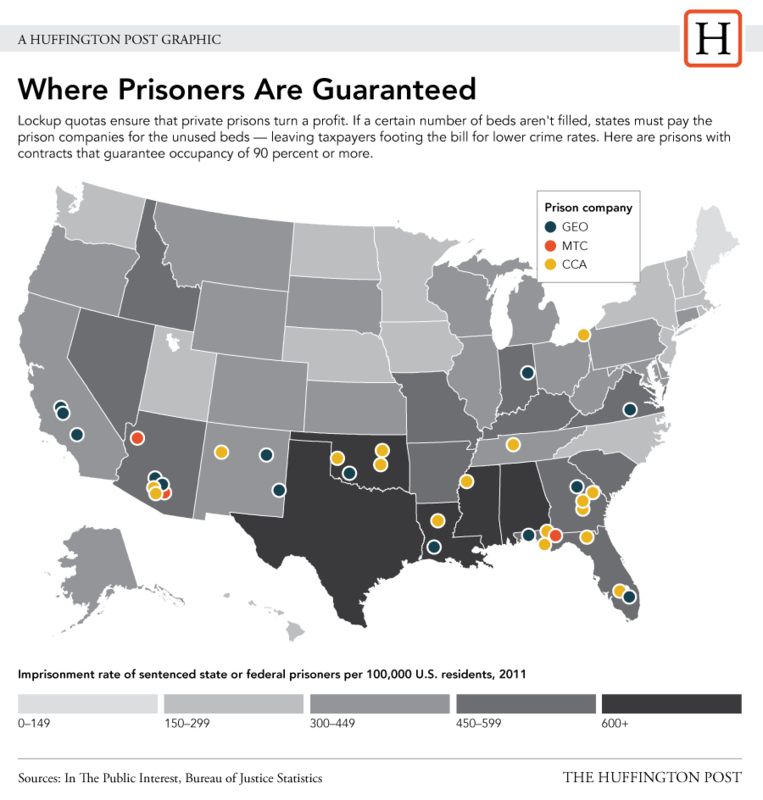 We re-post this story from the Huffington Post which provides insight into how the culture of Mass Incarceration works. – Ed. Infographic by Jan Diehm for The Huffington Post. Click on the image to see a larger version on Huffington Post. Prison companies have an airtight business plan: sign contracts with states obliging them to fill prison beds.